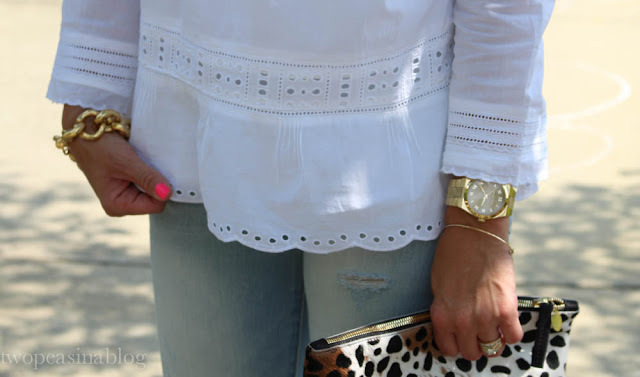 I love white eyelet in the summer!! 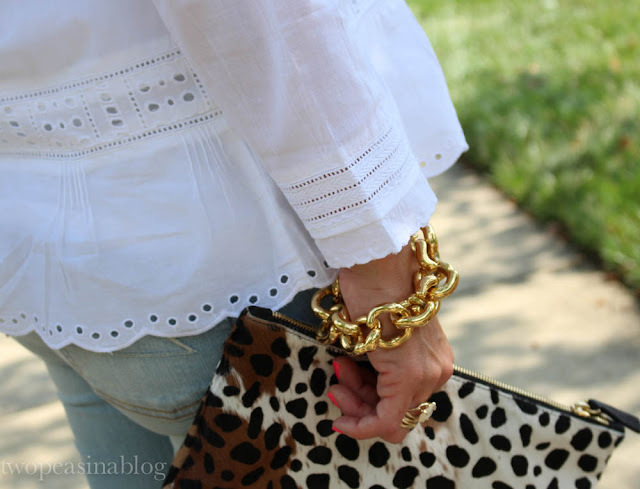 I found this eyelet blouse from J.Crew Factory and I love it. 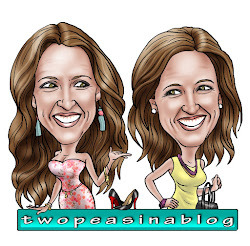 It has eyelet detailing around the neckline, a peplum fit and a scalloped trim around the bottom. What else do you need?? I think its the perfect summer top. The material is light weight for the warming temps but the 3/4 length sleeve makes it perfect for cooler nights. I paired it with my light colored jeans (which I love) but it would also look great with shorts and sandals for a daytime casual look. White eyelet is a must for the summer. But there are some other really great eyelet pieces available right now that aren't your typical white eyelet top. I love this bright shift dress, or these fabulous bermuda shorts, this off the shoulder dress is beautiful, and this fit and flare dress is a perfect color! white and eyelet just scream summer to me! such a beautiful blouse! Hi ! 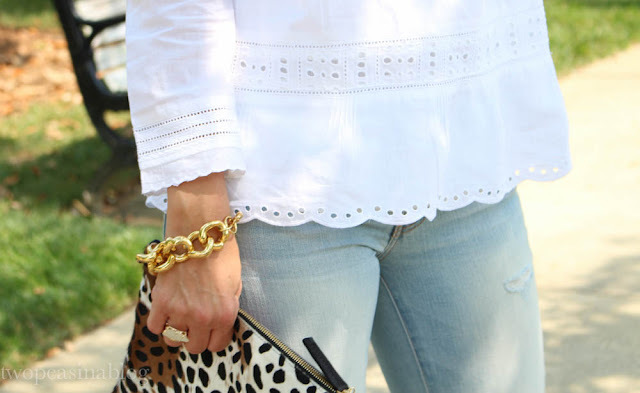 I just love this top, I am a fan of eyelet! Good to "meet" you! Looks great with the CV clutch too,I have always loved the leopard one. You look fabulous!! 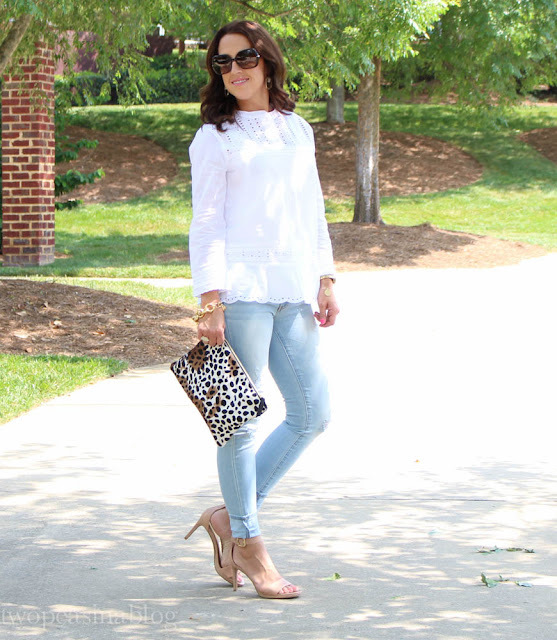 So in love with this blouse! Its so perfect for Summer! 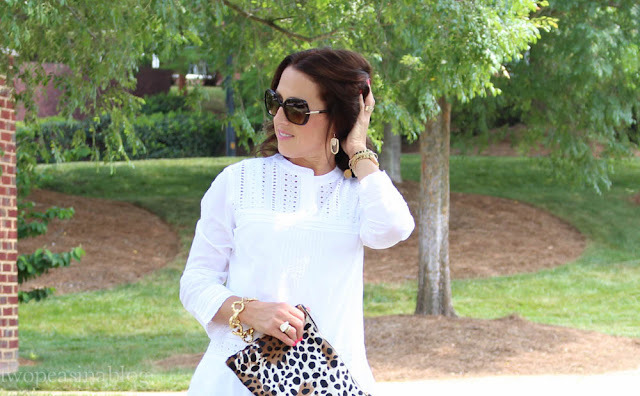 Love your white eyelet shirt! So perfect from spring and summer. Love your clutch and nail polish too!